We're a practical realism unit that has been around for over ten years. Some of us are current or prior service of the armed forces. Many of us are native citizens of the United States and some of us are from all around the world, so we're diversified in that manner. We have a long history of being one of the king units in realism, and for good reason. With strong leadership, professionalism, and core values, the 3rdID provides you with a once-in-a-lifetime shot at growing as a gamer AND a person. Can i ask how many members you have overall now? Including every game you play. We have roughly 157 soldiers that are active with in the unit. When you have a squad that trains every Friday or Saturday in AAPG let me know Currently you do not and that is the only days I can make a training unless there is early morning squad trainings on Mondays, and Thursdays which last time I checked there isn't. we actually have a squad that does training on saturdays! Just want to give the heads of for those that are interested. we have squad drills almost everyday of the week. if you are unsure if youll make it here are other times that we offer! I was thinking that you guys should make a Friday or Saturday squad training, or a EU squad for early morning people. Just a suggestion, training should be open to all times of day not just nights. im going to talk to my company commander to confirm drill times. i thought we had a friday or saturday time. Go to our website and apply! personal message me the name it was under. im curious on why. You should read my PM, it's is just gaming. wow. I'm writing a letter to NBC, ABC & CBS, maybe FOX but the world will know! or at least my MOM. Understand the situation, No need to put it in here. Ahh joke.. I want in!! My MOM said i'm the bestest and you would be lucky to have me. Check out our newest AAPG Video! 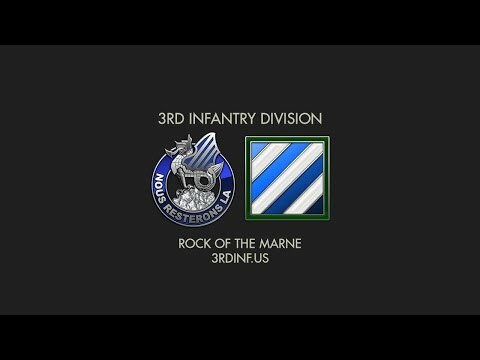 Those that are still looking for a clan, group or even a unit, the 3rd Infantry Division will always be recruiting even if you don't want to join one right now or you don't want to for awhile, we are always open to new members. Those that are wondering, we do play competitive, maybe we don't win all the time but, we have fun playing. If you apply today, myself will be able to get you in and registered/enlisted in roughly less than an hour. Min age of 15 and be at least mature about joining. Do you train new players for the multi player ? Yes, we accept new players.